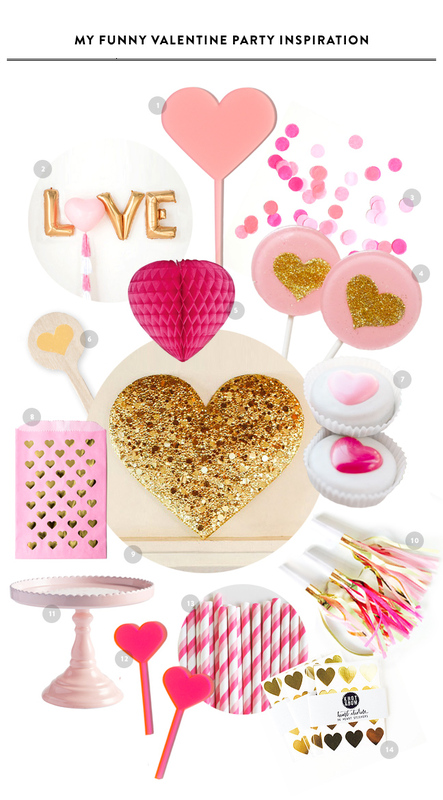 When I saw these gold heart lollipops on Etsy, I absolutely had to create a pink and gold party theme around them. 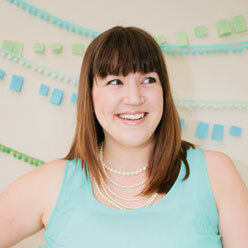 This My Funny Valentine theme uses pale and bright shades of pink, and pairs them with glimmering gold to create a party concept that is perfect for baby showers, birthdays, or this Valentine’s Day. With details like these, you’re sure to “heart” your party! 1: Bubblegum Pink Acrylic Heart Topper from Splendid Supply Co.; 2: LOVE Mylar and Tassel Balloon Set from Pom Joy Fun; 3: Tissue Paper Confetti from The Tomkat Studio Shop; 4: Pink Sparkling Heart Lollipops from Sweet Caroline Confections; 5: Honeycomb Heart from Luna Bazaar; 6: Gold Foil Heart Stir Sticks from The Pink Orange; 7: Chocolate Covered Oreos with Colored Hearts from Sweeties by Kim; 8: Gold Foil Heart Print Bags in Pink from Splendid Supply Co.; 9: DIY Sequin Heart Backdrop from 100 Layer Cake; 10: Fringe Party Horns from Shop Sweet Lulu; 11: Pink Scalloped Cake Stand from BHLDN; 12: Hot Pink Acrylic Heart Cupcake Toppers from Splendid Supply Co.; 13: Pink/Light Pink Striped Straws from Shop Sweet Lulu; 14: Gold Heart Stickers from Knot and Bow.